Welcome to day 2 of my 24 days of Slimming World Christmas Buffet Recipes. 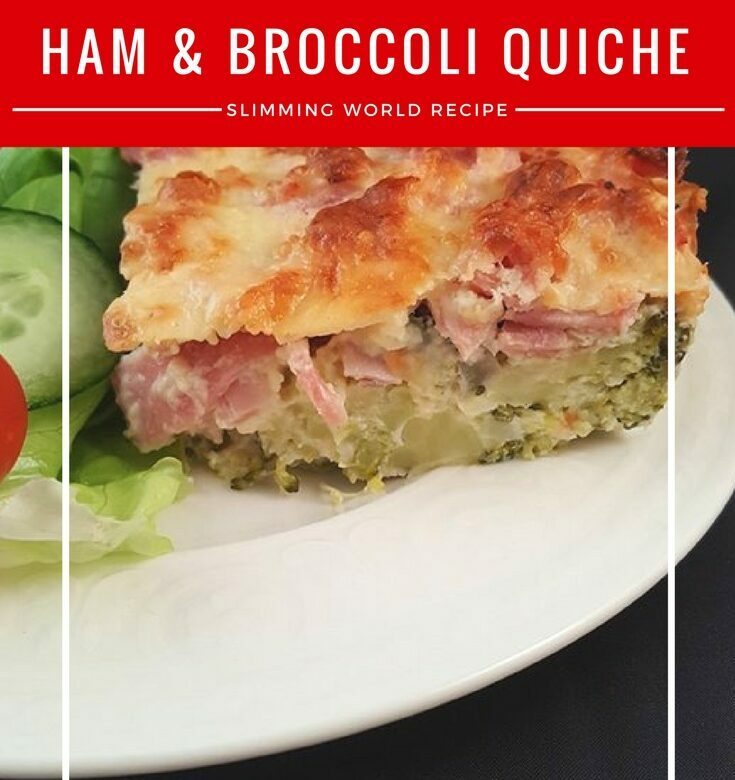 Today’s recipe is for a Slimming World syn free ham and broccoli quiche. It contains your healthy extra portion of cheese. If you’ve already used your healthy extra, you’ll need to syn a portion at 6 syns. If you’re using it on the buffet table, you can cut into 12 portions at 2 syns each instead. Spoon the ham mixture into a flan dish. Mix the eggs, cottage cheese, parmesan and cheddar cheese in a bowl and spoon over the bacon mixture. Bake at 190°C/170°C Fan/Gas 5 for 15-20 minutes until just set. Tomorrow’s recipe is for garlic and herb dip with BLT bites.